Whether you celebrate Christmas or not, the holidays tend to be an exciting time full of gifts, baked goods, music, and fun. While many of your favorite artists are taking the season off after touring during the summer, 98 Degrees has taken it upon themselves to tour during the happiest time of the year to perform tracks from their two Christmas albums and, of course, their greatest hits. 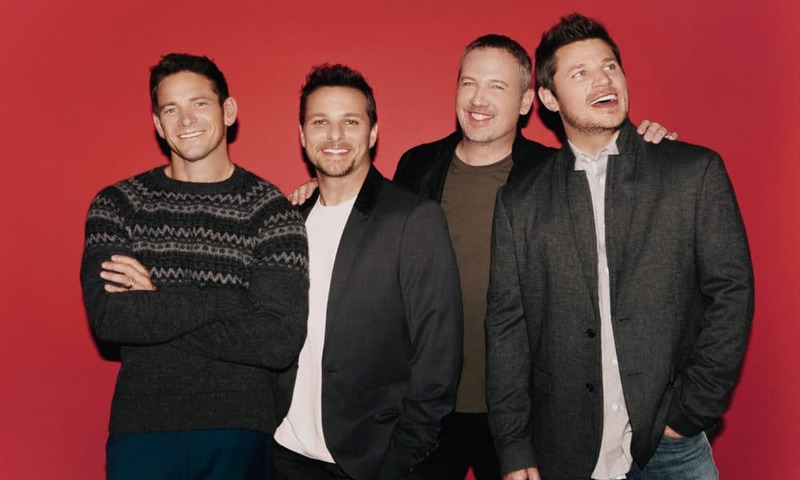 98 Degrees is one of the world’s favorite boy bands who charted alongside of their pop contemporaries Backstreet Boys, *NSYNC, Spice Girls, and more. They sold over 10 million records and have garnered eight top 40 singles for tracks including “Because of You”, “I Do”, and “The Hardest Thing”. Over the last couple of years, they toured with the likes of New Kids on the Block, Boyz II Men, O-Town, and more. This time around, they are doing an intimate solo headlining tour which should not be missed. 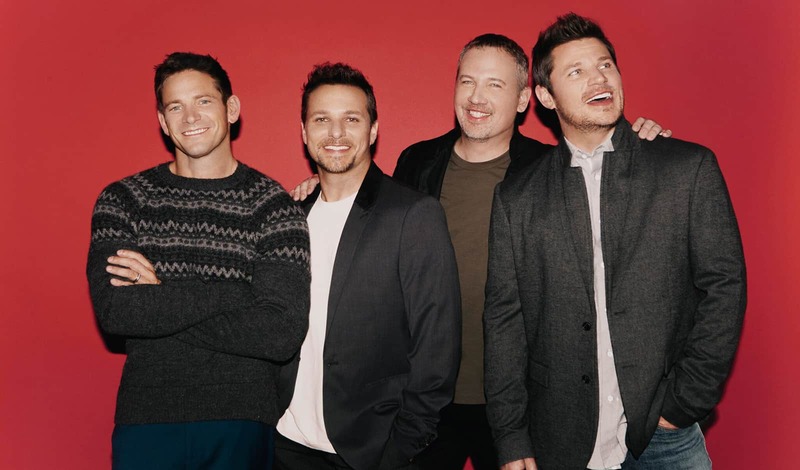 One fourth of the 98 Degrees, Jeff Timmons, talked to us about what to expect on their Christmas tour, his favorite holiday memories, what songs their fans love to hear them sing, and the two bands he hopes join forces with 98 Degrees someday soon. Many groups never find the time to record one Christmas album, but 98 Degrees now has two. What made you all want to record a second Christmas album? We wanted to get back into the studio, but now that we’re all married and have lots of different things happening in our careers, we don’t have the time to do promotional tours and work singles like that anymore. Also, we’re a vocal chamber group and harmony-based music is not that popular anymore. Christmas music lends itself towards harmony and makes it more fascinating. We had a blast doing the first Christmas album and we noticed that a lot of people weren’t touring during the Christmas season so we decided to change it up. It made sense to us and, fortunately, it was well-received and we can’t complain! For fans who didn’t attend the Christmas tour last year, what can they expect from this year’s show? We’re doing classic Christmas music in [smaller] theatres; it’s not your traditional tour, but it’s intimate and you get to know us. Our fans know we like to have fun and have a good time. We don’t really take ourselves too seriously. It’s a family-friendly show that’s a lot of fun. You’ve been on countless tours, visited many countries, and spent months away from home, which means 98 Degrees has spent many holidays together. Do you have a favorite holiday memory with 98 Degrees, Christmas or otherwise? Back in the day, when we were really popular, we were on tour for five years straight. We had a total of seven days off in a two year period. It was a constant grind and we were spending every [holiday] together. But, for us, I think the funniest holiday we can remember is when we were in Paris and we thought we’d have some extravagant Christmas dinner. We [ended up] at this cheeseburger joint and then fell asleep watching a movie. The older we get, the simple things mean everything to you. You relish when you get to be home with your kids. You become a little wiser and you don’t care about things that you used to care about in the past. We let the kids open one present as a teaser the night before. We don’t get too crazy. We just spoil our kids. We weren’t rich but our parents found a way to spoil the hell out of us. The same holds true with our family. On this tour, you will be performing songs from your two Christmas albums and some of your greatest hits. Over the years, what song gets the biggest reaction from the audience? I think a lot of them have similar radio play and similar chart success so you would think that they would get the same reaction. “I Do” has stood the test of time, and it’s a wedding song. Lately, we’ve been getting a crazy reaction to “True to Your Heart”. [The fans] jump out of their seats and we’re like “that song?” We were honored to do it for Disney and work with Stevie Wonder, but that one always surprises us. “Because of You” is the first [single performed] after we sing a few Christmas songs, so people go nuts for that song, too. It’s also the first music video we had on MTV. Over the last couple of years, you’ve toured alongside of Boyz II Men, New Kids on the Block, Dream, and other great acts. If you had to pick, is there a favorite group or solo act that you loved touring with? Touring with Boyz II Men was a dream come true for me. I was such a huge fan and I started 98 Degrees based on Boyz II Men. And I was a New Kids [on the Block] fan so that was a dream tour for me. But I would love to get Backstreet Boys, *NSYNC, and 98 Degrees on a tour. Are you working on releasing any new music in the upcoming year? What’s next for 98 Degrees? We’re definitely throwing it around. People keep asking us for it so it’s not out of the realm of possibilities. 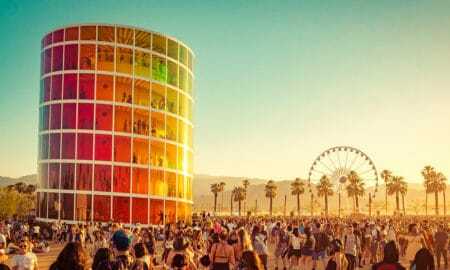 We’re also thinking of doing another big summer tour. Give them just one night of your lives, ladies, and book tickets to their Christmas tour here.